Faithful, readable commentary on both 1 and 2 Chronicles. 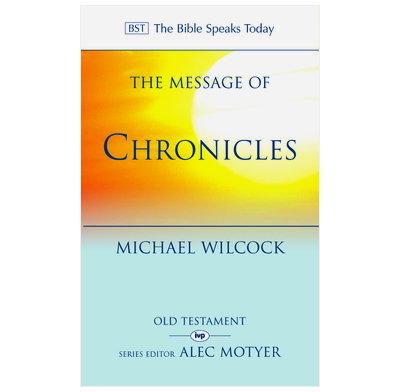 Michael Wilcock sees Chronicles as first and foremost a sermon; its object - to foster a right relationship between God and his people. The Chronicler finds in the records of Israel the 'great overall pattern' of God's hand in history. The Lord's constant mercy, love and faithfulness shine through. With great perception, the Chronicler first selects and then proclaims this vibrant pattern, highlighted in the living events of his nation's actual history. Once its purpose is grasped, the book comes alive. It can be seen as nothing less than a final and momentous look back over the entire Old Testament. Viewed in this way, Chronicles has something of the vividness, contrast and drama of the last book of the New Testament, Revelation. Michael Wilcock sees the countless persons named and chronicled as part of one people of the living God. They make vivid to us the truths by which the Lord's people in every generation are to live.